As early as at the recruiting stage we strive to meet our high quality standards. We are therefore eager to attract individuals who regard new tasks as an opportunity to be creative, who are able to work as part of a team while at the same time retaining their individuality. Ideally, you have already acquired at least two years of work experience in a law firm, a tax office or auditing company focusing on corporate- and group law, corporate- and group tax law, transaction and structuring consultancy. We expect above-average examination results and proof of your willingness to perform to exceptional standards, for example by having completed studies overseas, having gained work experience abroad or other additional qualifications. We expect your English skills to be good. We will place high expectations on you. You will meet your own high standards by high quality professional work. 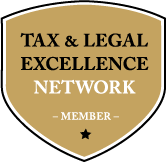 The joy in finding solutions for sophisticated legal and tax questions will provide the incentive for your work. You enjoy developing creative legal and tax structures, attach great importance to precise and thorough work, act independently and are willing to develop holistic solutions and concepts in a small interdisciplinary yet highly specialized team. You will feel very much at home with us if you like to work in an analytical and structured way, if you are able to edit complex legal and tax related facts in a manner which is easily understood and if you are capable to present your findings in writing and in immediate contact with our clients convincingly and compellingly. in any case with several years of job experience and above-average professional knowledge (honors graduate/Prädikatsexamen). Your career history so far shows that you are committed to pursue your goals and like to work in an international environment. You possess team spirit and confident manners. We offer a demanding and independent position endowed with above-average compensation and prospects to become partner of our association.